For more information about Graduate Assistantships, visit the Graduate Assistantship webpage. Graduate students appointed to the position of TA1 may not have primary responsibility for a course or serve as the instructor of record, but may assist in the instructional process by serving as discussion leaders in breakout sections, grade papers, proctor exams, or assist the primary instructor of record in other ways. The department chair and graduate program director shall determine that the credentials of a student assigned as TA1 qualify the individual to assist in instruction activities. Graduate students appointed to the position of TA2 will have completed more than 18 hours of graduate course credit in the appropriate discipline and will have completed centralized training facilitated by the College of Graduate Studies. TA2s may have primary instructional responsibility for a course and may have autonomy for teaching, assigning grades, and providing laboratory instruction/setup as part of a regularly scheduled course. 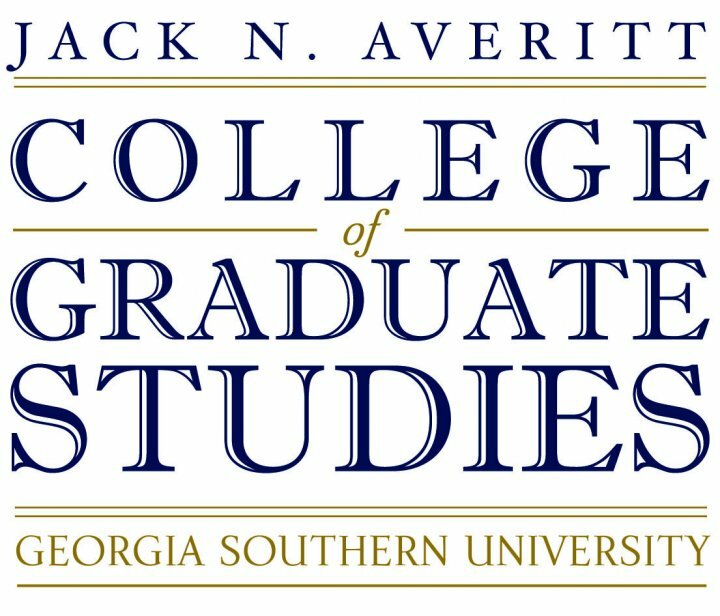 TA2s must be under the supervision of a Georgia Southern faculty member that teaches in the discipline. The department chair and graduate program director shall determine that the credentials of a student assigned as TA2 qualify the individual to undertake the assignment of instruction. Research Assistants (RAs) are research positions which allow graduate students to conduct research of a scholarly nature, normally under faculty supervision. In most cases, RA salaries and tuition are charged to sponsored programs and are not paid by the University. The work of an RA can include, but is not limited to, the production and analyses of data, the development of theoretical analyses and models, the production or publication of scholarly journals and research reports to develop his or her own research agenda and for the benefit of the University, faculty or academic staff supervisor, or granting agency. Graduate students appointed to the position of LA1 may not have primary responsibility for a lab or serve as the instructor of record, but may assist in the instructional process by assisting in a lab or assist the primary instructor of record in other ways. The department chair and graduate program director shall determine that the credentials of a student assigned as LA1 qualify the individual to assist in instruction activities. Graduate students appointed to the position of LA2 will have completed more than 18 hours of graduate course credit in the appropriate discipline and will have completed centralized training facilitated by the College of Graduate Studies. LA2s may have primary instructional responsibility for a lab and may have autonomy for teaching, assigning grades, and providing laboratory instruction/setup as part of a regularly scheduled course. LA2s must be under the supervision of a Georgia Southern faculty member that teaches in the discipline. The department chair and graduate program director shall determine that the credentials of a student assigned as LA2 qualify the individual to undertake the assignment of instruction. Graduate Assistants (GAs) provide general administrative support to academic and administrative units within the University. Whenever possible, the duties assigned to graduate assistants should be relevant to the graduate program and the professional goals of the students. Assistantships best serve the student, the hiring unit, and the student’s academic department when they are used as an integral component of the graduate education experience. Assistantships should enhance the educational experience by exposing the student to the professional activities of their disciplines, involving them in university activities related to their academic and professional interests, and affording them the opportunity to work closely with faculty and professionals. Assistantships should provide high quality support for the academic mission of the University. Assistantships may only be awarded to graduate students who have unqualified admission to the College of Graduate Studies under the “Regular” degree admission classification. Provisional degree or non-degree admits are not eligible to hold a graduate assistantship. Graduate assistants must maintain a cumulative graduate GPA of 3.0**,** Ed.D., Curriculum Studies must maintain cumulative graduate GPA of 3.25, Ed.D., Educational Administration must maintain cumulative graduate GPA of 3.50. If an Incomplete (I) grade is received, the graduate assistant must remove the “I” during the following semester. To be eligible, fully-online students must be able to meet the same eligibility requirements and are required to fulfill the same on-campus work schedule as a traditional graduate assistant. At the discretion of the dean of the respective college, a limited number of assistantships may be provided to students enrolled in classes that are delivered fully-online AND where the student will be employed as a TA, RA, LA, or GA in the home college/department of the graduate program. 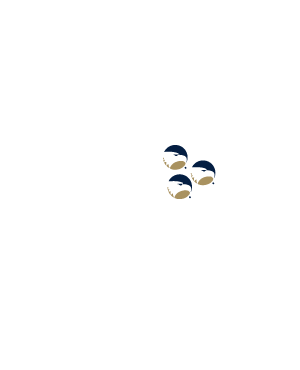 In cases where the employing unit and the academic unit are NOT one and the same, the employing unit MUST seek prior approval from the dean of the academic unit in advance of offering the student an assistantship. Summer Terms A or B require a minimum of 3 credit hours. * Student must be registered during the term in which they hold an assistantship. Summer Long Term or Term A and B together require a minimum of 6 hours. How do I apply for and get an assistantship? If you have not applied for admission, please do so first and pay the application fee. Complete the online Graduate Assistantship Application. March 1 is the deadline for the receipt of applications to have priority consideration. Applicants are encouraged to submit applications early. Ask the Graduate Program Director or Department Chair for your department about available assistantships. Once hired, go to Human Resources the week before classes begin to fill out required paperwork. Renewal of a previous year’s contract is not automatic, and students must reapply each academic year. Full time Graduate Assistants can expect to work a maximum of 20 hrs/wk in both the fall and spring semesters. Federal law generally limits the number of hours that international students can work on campus to 20 hrs/wk in the fall and spring semesters. When do I start? Stop? The standard starting date for a graduate assistant may be one week before the first day of classes and the standard ending date shall be the last day of final exams. Graduate assistants receive a tuition waiver of the standard in-state and out-of-state tuition but must pay a reduced matriculation fee of $25 per semester along with all assessed university fees. Some programs are approved to charge a premium tuition rate that is not covered by the standard tuition waiver. Graduate assistants are responsible for paying all University Fees and the Technology Fee each semester. through the Pearce & Pearce website. Graduate Assistants who already have their own personal health insurance may apply for a waiver of the mandatory student health insurance through the Pearce & Pearce website. Select “Waive Online”. Proof of insurance must be provided each semester. How do I resign from my current assistantship? A graduate assistant choosing to resign or terminate his/her employment must submit a letter or resignation to the Dean of the College of Graduate Studies. If the student accepts the offer and then desires to withdraw, the student may submit, in writing, a resignation within two weeks. However, after this date, the appointment of the assistantship prevents the student from accepting another offer without first obtaining a written release from the College of Graduate Studies. Can my assistantship be terminated? All graduate assistants will receive written notice a minimum of two weeks prior to termination. Failure to satisfactorily perform work assignments in particular needs to be documented in writing prior to the dismissal notification. Additionally, the University reserves the right to terminate a graduate assistant if, in the discretion of the Dean of the College of Graduate Studies, the circumstances of a particular situation warrant such action.